A warm and welcoming ambiance in the reception area of a dental clinic makes a world of difference for reluctant patients. They should feel comfortable and relaxed when they visit the dentist so that they will come back on a regular basis in order to take proper care of their teeth and dental hygiene. 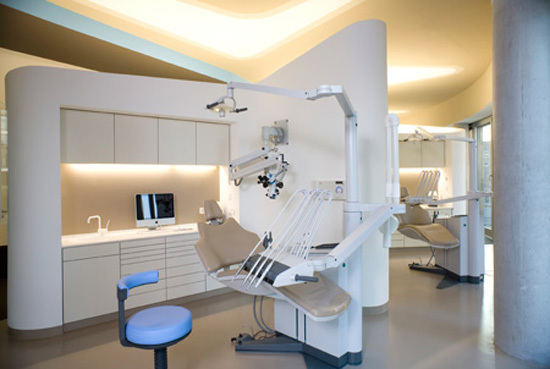 Proper dental clinic interior design is responsible for the harmonious and people-oriented environment in all the areas of the dental clinic. 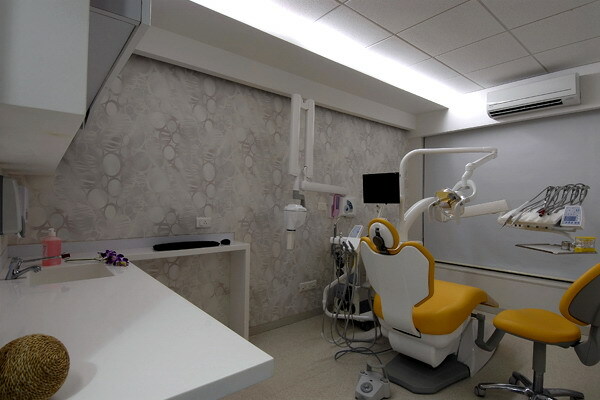 From the reception area to the treatment rooms, a feeling of comfort and ease should be consistent, and all the areas should be treated with the right finishes and furnishings so that an informal and amiable relationship can be generated for the patients, the dentists and the guests. The reception area of a dental clinic can be all sorts of things except frightening. It should have a small lounge area with comfortable sofas and armchairs upholstered in bright colors that perk up the spirit such as yellow and red. 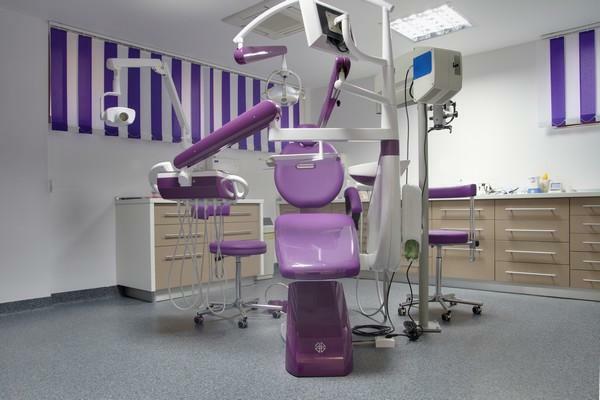 Dark and dull colors in paint and floor materials should be avoided because they exude an impersonal, gloomy and sometimes authoritative and too intimidating ambiance that will not at all help appease the hesitant and inhibited emotions of the patients that are waiting in line. The patients must be occupied with dynamic designs that will make them avoid thinking about actually sitting in the dentist's chair. Things such as thought-provoking art pieces, a play pen for kids and a decorative bookcase with informational books and magazines that they can leaf through are appropriate. The treatment area should be sanitary and it can be painted a very relaxing pastel color such as baby pink, powder blue or lime green. 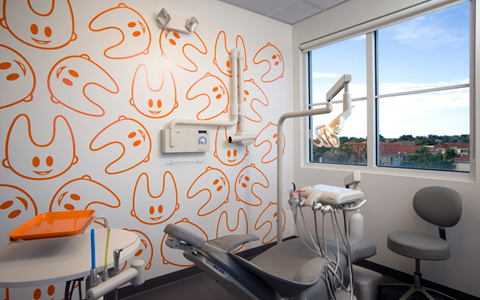 This will help patients feel comfortable while sitting or lying down in the dental chair with murals of butterflies and flowers on the ceiling and the walls of the treatment room. 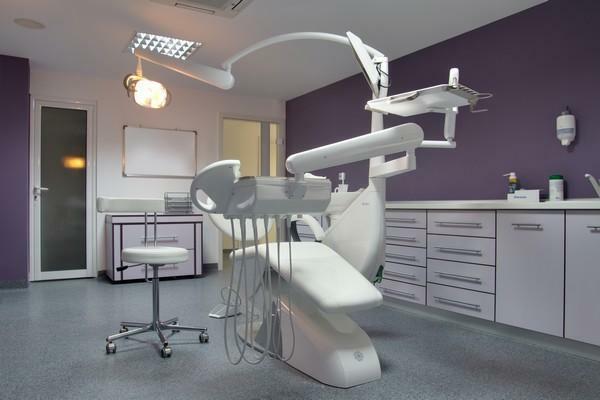 There must be room for a sink and preparation surface, as well as ample space for the dentist and her assistant to navigate around the room. 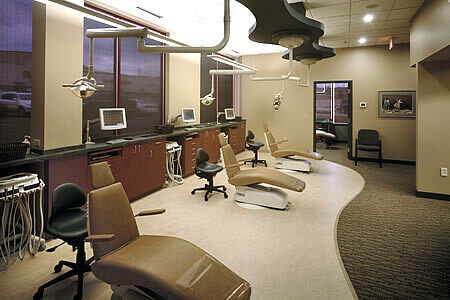 The dental chair can be situated beside a wall as long as the other side is bare and spacious. 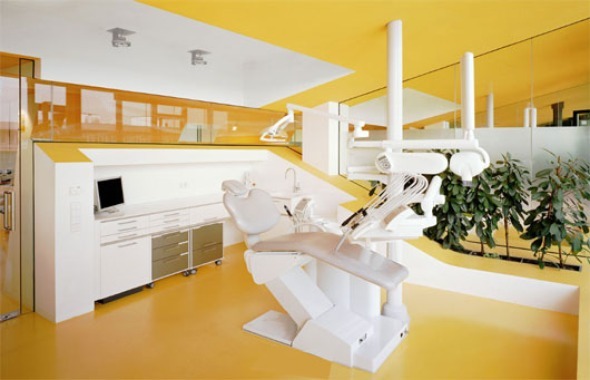 The key to a successful dental interior design is to provide feasibility in layout and efficiency in systematic organization of the various areas. 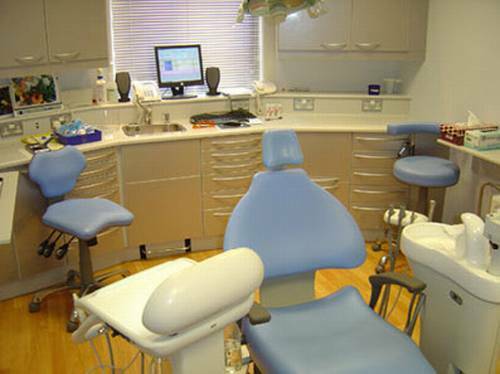 Even the personal office of the dentist should be given fair attention because it also has to be a professional space that is still sensitive to the needs of the patient.